This is a great summer recipe for informal dining. 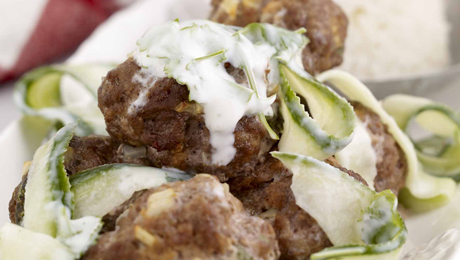 If you wish you could thread these mini meatballs onto skewers & either bake in the oven or barbecue. Place the minced pork into a large mixing bowl. Add in the tomato ketchup, the spice mix and all the other ingredients (egg, flour, breadcrumbs, chilli powder) and mix well until combined. Mould the mixture into small meatballs, approximately about 1 tablespoon each, using a little plain flour to assist you. Arrange the meatballs onto a flat baking tray and bake in the oven for 15-20 minutes until they are completely cooked. Pop in the fridge and chill until required. Mix in 25g butter with some seasoning and serve immediately. Tried the meatball recipe and added a few dashes of soya sauce to the mix... Lovely eating! !